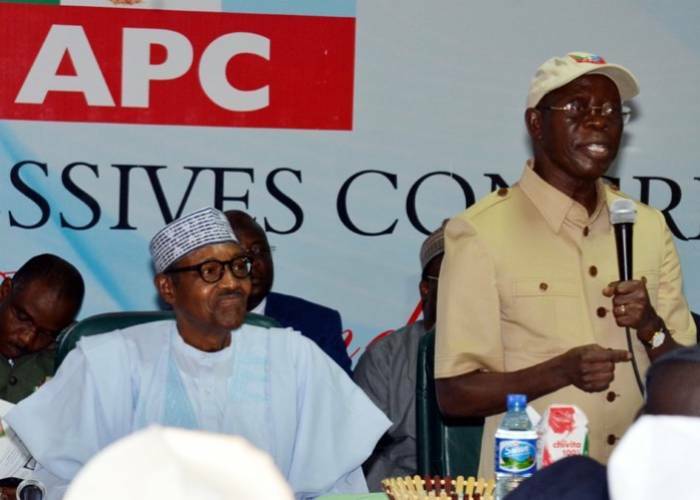 The Federal High Court, Abuja, on Monday ordered All Progressives Congress (APC) to conduct fresh elections for the office of National Organising Secretary (NOS) within 30 days. Justice Nnamdi Dimgba gave the order in a judgment on a suit filed by Sen. Osita Izunaso, the plaintiff and a contestant for the office of NOS in the recent APC elective convention. Izunaso had asked the court to determine whether the election into the office of National Organising Secretary of APC was marred by violence leading to the disenfranchisement of delegates from some states. He further wanted the court to ascertain whether as a result of the disenfranchisement of some delegates, APC was right in declaring Mr Emma Ibediro winner of the election since it was inconclusive. The Independent National Electoral Commission (INEC), APC and Ibediro were named as defendants in the matter. Izunaso told the court that some thugs loyal to Ibediro, numbering up to 100, disrupted the election into the office. He said that they broke the ballot box making it impossible for votes of delegates from Jigawa, Adamawa, Anambra, Abia and Imo to be counted thereby rendering the election inconclusive. He claimed that if the votes of those delegates were counted, they would have bridged the 290 vote margin which Ibediro defeated him with. According to Izunaso, APC erred by going ahead to announce Ibediro as winner of the election in spite of the violence, thuggery and irregularities recorded. The court agreed that exhibits before it proved that the election was marred by violence and thuggery, irregularities and non-compliance with the provisions of the constitution. It further agreed that the election did not follow the Electoral Act and the guidelines made by the party for the convention. The court further noted that the defendants had not presented an effective defence to the claims made by the plaintiff and as such it was bound by the evidence before it. “In the report, INEC said that the elections were conducted in line with guidelines of the 2018 APC elective convention and so it failed in its monitoring function with respect to election into the office of the NOS”. He therefore ordered that APC should within 30 days, pursuant to the plaintiffs’ alternative reliefs, conduct a fresh election for the five states that were disenfranchised. According to him, the duty of officers of the commission as election monitors is not to entertain themselves but to ensure that the elections comply with provisions of the law. Izunaso had asked the court to declare him winner of the post of NOS but the court was of the view that while his complaints were well founded, it was better to order fresh elections in the affected states.